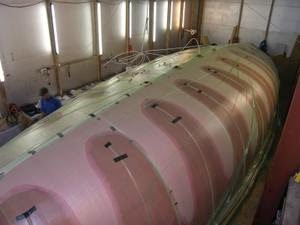 September 16th, the outside hull of the Falcon 44 is vacuum injected. This project is escorted by “Polyworx” and “Stichting Maritiem Kenniscentrum”. 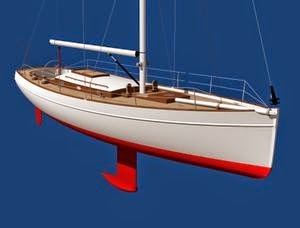 The amateur builder built and shaped the corecell hull and laid the glassfibre according the laminate scheme and the professionals has vacuum inject the outside hull in one day.